LAS VEGAS (September 9, 2014) – After a public nomination process on WSOP.com, and a vetting of all nominations by the Poker Hall of Fame Governing Council, the finalists list eligible for induction into the Poker Hall of Fame in 2014 has been determined. Five new candidates have been nominated, and five candidates were also finalists last year (Chris Bjorin, Humberto Brenes, Jennifer Harman, Mike Matusow & Huck Seed). Bjorin and Harman have now been finalists for three consecutive years, while Seed has appeared on the ballet three of the last four years. Daniel Negreanu leads this year’s new nominees, as he finds himself on the finalist list in his first year of eligibility. France’s Bruno Fitoussi is a first-time nominee, and so are 1975 WSOP Main Event runner-up and an original member of the Texas Rounders Bob Hooks, six-time WSOP gold bracelet winner Ted Forrest and noted tournament director Jack McClelland. The above list of names will be submitted to the 21 living Hall of Fame members and a 20-person media panel later this month for voting. Only these 41 individuals cast votes for induction. 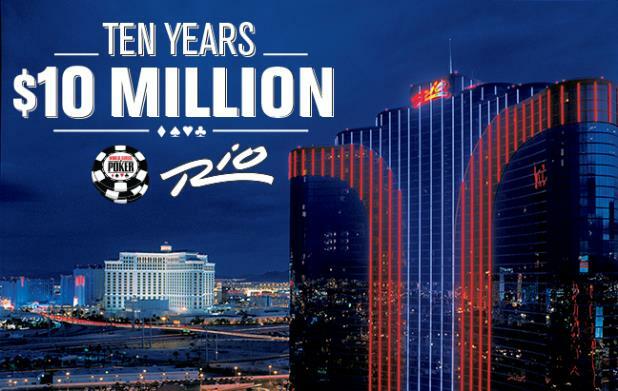 The 2014 Class of the Poker Hall of Fame will be inducted as part of the World Series of Poker Main Event final table festivities at the Rio All-Suite Hotel & Casino in Las Vegas during a special dinner and induction held Sunday, November 9. With all ten of this year’s finalists living, it is expected the inductee(s) will be able to attend the induction in person. Inductee(s) will be acknowledged on stage during November Nine festivities on November 10 as well. 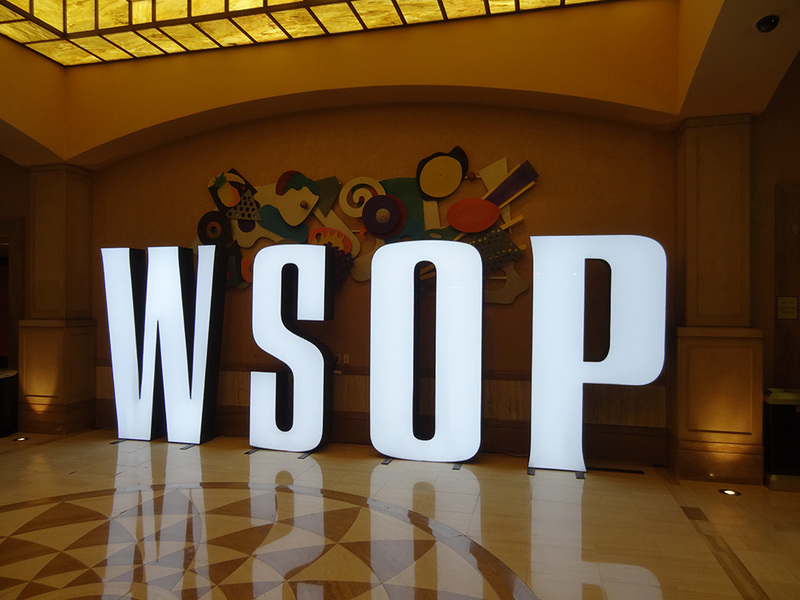 Next week, official ballots will be sent to the voters, who will have until October 10 to fill them out and return them to the WSOP Governing Council. The inductee(s) are expected to be announced after all votes have been officially tallied. Please read below for a brief about each of this year’s finalists for the Poker Hall of Fame Class of 2014, listed in alphabetical order. Bjorin, a 66-year-old Swedish-born poker player who now resides in London, England, has earned more than $5.5 million playing poker in his distinguished career. The two-time WSOP gold bracelet winner sits sixth on the all-time WSOP cash list with 68 and ranks fifth all-time in WSOP Main Event cashes with seven. A model of consistency, Bjorin has cashed for six-figures in 19 different calendar years, including 13 consecutively. He hold’s Sweden’s all-time money and cash records and is WSOP Europe’s all-time cash leader as well. The man known as “The Shark” may be best known for his gregarious and outgoing personality, but Humberto Brenes has a lot of poker bite to back up all his barking. Now third on the all-time WSOP cashes list with 82 in-the-money finishes after cashing ten times at the 2014 WSOP, Brenes has been one of the most consistent WSOP performers for the better part of 25 years. What stands out among those cashes is his track record in the WSOP Main Event, a tournament he has made the money in on nine separate occasions, including a fourth place showing in 1988. That puts him second on the list of most Main Event cashes behind only Berry Johnston. In addition to his $6 million in tournament earnings, the winningest Costa Rican player in poker history has also played a crucial role in helping to develop the poker scene in Latin America. Perhaps no one is more influential in French poker circles than Fitoussi, 55, who turned his passion for poker into a successful playing career and several other poker-related business interests. He introduced Texas Hold’em into France in 1995 at the Aviation Club de France, Paris’ most famous gaming club. He has more than $2.7 million in career poker winnings, ranking 8th all-time on France’s list. “The King” won the inaugural World Heads Up Poker Championship in 2001, defeating Amarillo Slim. His first recorded cash was in 1991. He was the runner-up in the WSOP $50,000 Poker Players Championship in 2007, securing his largest cash, for $1,278,720 and showing he was capable of playing all poker’s major variants well. But Fitoussi’s mark on the game in large part comes from getting poker on television in France and his participation and commentary in several poker shows over the years. France truly became a poker market in part due to Fitoussi’s activities to develop the game in his home country. A six-time WSOP gold bracelet winner, Forrest captured his latest bracelet by slaying Phil Hellmuth heads up to win the Seven Card Razz event at the 2014 WSOP. The 49-year-old New York native has won more than $6 million during his career spanning three decades. Forrest’s first cash at the WSOP was a victory at the 1993 WSOP when he won Event #11, the $5,000 buy-in Limit Seven Card Stud event. But if that wasn’t a coming out party, it only took two days longer to cement his name in poker circles. He went on to win Events 12 and 13 too – incredibly winning three WSOP gold bracelets in three consecutive events in three variants of poker – the first and only time that has occurred in WSOP history. Forrest’s resume is littered with success in every major variant of poker, and he’s captured a WPT and National Heads Up title. He’s also a noted cash game player, even taking part in the famed high stakes heads up cash games with Andy Beal. Jen Harman has a long list of tournament accomplishments, including more than $2.7 million in earnings, two WPT final tables, 12 WSOP final tables, and the honor of being the first woman to win multiple WSOP bracelets in open events. However, what might be even more impressive than her tournament results is her skills in the cash games. The Reno, Nevada native has been a staple in the biggest cash games in Vegas for more than a decade and is one of the only women to play cash at such high stakes. The 49-year-old mother of two also dedicates much of her time to using poker to raise money for charitable causes, including the National Kidney Foundation and the Nevada Society for the Prevention of Cruelty to Animals. The oldest member on this year’s nomination list, 85-year-old Bob Hooks was one of the original Texas Rounders travelling the Texas and Arkansas circuit with the likes of Johnny Moss, Doyle Brunson, Amarillo Slim and Sailor Roberts. From Dallas, Hooks picked up the game while playing football in college at SMU in the 1950’s and went on to finish runner-up in the 1975 WSOP Main Event to his friend and roommate at the time Brian “Sailor” Roberts. Hooks was hired on by Benny Binion in 1970 to be the first card room manager of the Horseshoe in Las Vegas – the same year the World Series of Poker was started there. Steve Wynn eventually hired Hooks away to work at the Golden Nugget, before Bob returned to his Dallas roots in the late 1970’s, where he played often at the famed AmVets Club. Hooks’ poker career spanned six decades, and he played nearly daily until he retired from the game in early 2013. Mike “The Mouth” Matusow has plenty to talk about when it comes to his poker accomplishments. The 46-year-old is a four-time bracelet winner with $9 million in career tournament earnings. A poker dealer turned poker pro, Matusow has final tabled the WSOP Main Event twice in 2001 and 2005, made 11 other WSOP final tables, and appeared at five WPT final tables. Never one to bite his tongue, Matusow developed a reputation of being a tough player and a tough talker, as he frequently speaks freely at the tables. The Mouth is a four-time WSOP gold bracelet winner and last year won the NBC Heads Up Championship. Jack McClelland, 62, has seen poker from all sides and from its highest high to its lowest low. A one-time semi-professional bowler who moved out to Las Vegas to help his ailing mother, McClelland ended up with one of the most storied poker operations careers spanning five decades. McClelland has worked with three existing Poker Hall of Famers, Eric Drache, Jack Binion and Bobby Baldwin and was involved at the Bellagio when Mike Sexton and the WPT brought their first tournament there. From tournament directing the WSOP in the 80’s to running the Bellagio poker room from 2002 to 2013, McClelland has been part of a lot of poker history, and has done so from the operator side, starting as an $18 a day dealer and working his way up to running the biggest events and biggest rooms in Las Vegas. McClelland also played a little poker, but only for a brief stint full time. He has worked poker events in Aruba, Cyprus, London, Vienna and Russia. McClelland retired at the end of last year. This Canadian-born superstar of European decent moved to Las Vegas when he was 22 and has accomplished more than anyone in the game the past 18 years. Now 40 and first-time eligible for the Poker Hall of Fame, Daniel Negreanu is poker’s all-time winningest player, with nearly $30 million in lifetime earnings. “Kid Poker” has captured six WSOP gold bracelets – and is the only two-time WSOP Player of the Year – winning it most recently in 2013 and initially in 2004. He also has two WPT titles, is second on the all-time WPT money list, third on the WSOP all-time money list and has made his living playing poker, travelling the world and serving as one of the game’s greatest ambassadors since the late 90’s. He is the face of the Poker Stars online poker site and Negreanu has appeared countless times on televised poker shows around the globe and has carried the mantle for the game. Negreanu is charitable both with his time and his resources to help the game and other causes he believes in and is as fan friendly a poker pro as you will find. Never shy to share an opinion, Negreanu has influenced tournament structures, betting styles, table image and strategy and weighs in on topics on and off the felt without fear. It isn’t just Huckleberry Seed’s tall frame that helps him stand out among his competition at the table. The California native and Caltech alum is a four-time bracelet winner with $7.6 million in career tournament earnings. There is truly nothing Seed can’t play at the tables, as his varied list of results include bracelets in Razz and PLO, a victory in the NBC Heads-Up Championship, two final table appearances in the $50K Poker Players Championship, a win in the WSOP Tournament of Champions in 2010, and, of course, winning the WSOP Main Event in 1996. Since Seed first started playing tournament poker back in 1990, he has posted six-figures worth of results all but five years he has played. The Poker Hall of Fame, established in 1979, was acquired by Harrah’s Entertainment along with the World Series of Poker in 2004. Though the Hall of Fame is virtual in nature, its membership includes poker’s most influential players and other important contributors to the game. There are 21 living members, and 46 members have been bestowed the honor of Poker Hall of Famer. 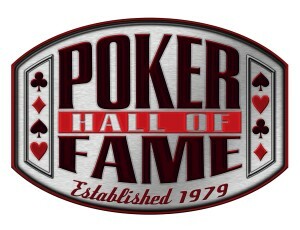 The Poker Hall of Fame traditionally elects one or two members annually. The enshrinement ceremony is now held in concert with the final table of the Main Event of the WSOP, held each Fall in Las Vegas. 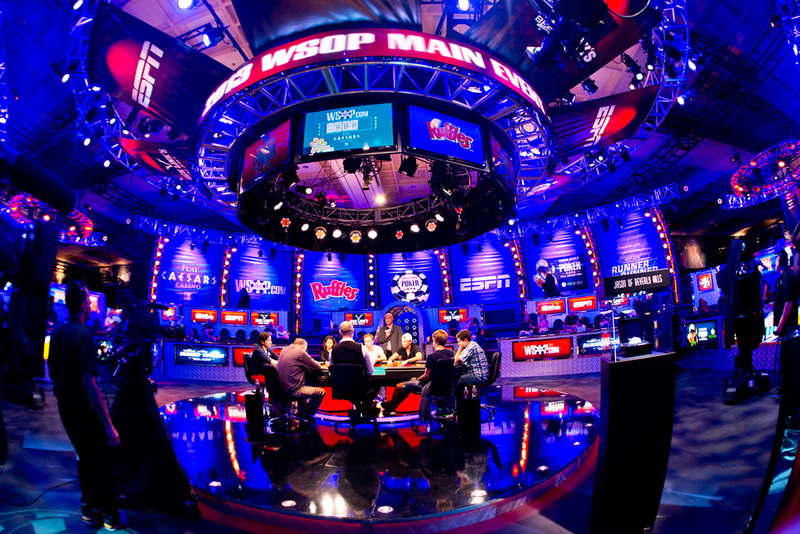 As in the previous four years, the nomination, selection and voting process will culminate in the enshrinement of a worthy inductee(s) as part of the WSOP Main Event Final Table. 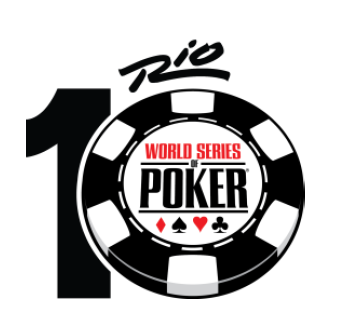 • The public will be able to submit a name(s) for consideration via online submissions at http://www.wsop.com/. • On or after August 15, the entire list of submitted individuals will be forwarded to the Nominating Committee, who will be tasked with reviewing all submissions and determining the final list of eligible candidates for 2014 induction. The committee will determine if any others should be added (such as non-poker players who have contributed greatly to the game, any glaring omissions, etc.) and determine the final eligible list. • The Nominating Committee’s final list will be announced in September. 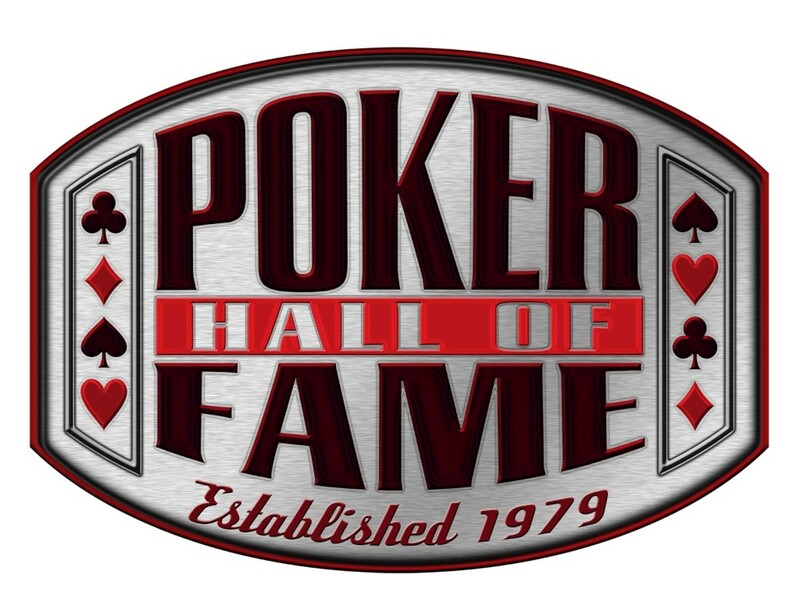 Anyone on this list will be forwarded to the official voters, made up of current Poker Hall of Fame members and select media, who will cast ballots to determine the induction class in 2014. • A finalist ballot will be sent to the current Hall-of-Famers (21 living) the Week of September 15, who will each rank the nominees in order of preference – ranking only those they deem worthy of admission in 2014. Each Hall-of-Famer will also have the ability to add a write-in candidate, who won’t be eligible for admission in 2014, but will automatically be added to the consideration list for 2015. In addition, a select group of media members (20) will also be sent a ballot for ranking the finalists. All votes will be cast in private, with each PHOF and media member entitled but not obligated to keep their vote secret. After receiving back all ballots (due by October 10), the PHOF governing council tabulates and reviews the selections and helps finalize any tiebreakers or errors. • The two finalists receiving the most votes, as long as they are a majority, will be inducted during the enshrinement ceremony at the Final Table of Main Event in November, 2014.